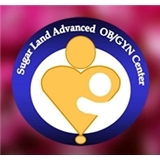 Sugar Land Advanced OB/GYN Center (Sugar Land) - Book Appointment Online! Dr. Tom T. Nguyen is a thorough and compassionate OB-GYN specialist who has more than 30 years of experience. He holds a certification from the American Board of Obstetrics and Gynecology. Dr. Nguyen attended Baylor College of Medicine in Houston, Texas. He received his residency training in Obstetrics and Gynecology at Baylor as well. Dr. Nguyen has been affiliated with Memorial Hospital system for many years. He was elected chief of the OB/GYN department at Memorial Hermann Southwest Hospital from 2006-2008. Currently, he mainly practices at Memorial Hermann Sugar Land Hospital. Patients visiting Dr. Nguyen can receive a full range of obstetric and gynecological services. He personally provides complete prenatal care, and delivery to both normal and certain high-risk pregnancies. He also performs a number of procedures in the office including Essure bilateral tubal ligation and Novasure endometrial ablation for patients with heavy menstrual periods. For patients with stress urinary incontinence, Dr. Nguyen can make the diagnosis and treatment if it is necessary. In addition, he is proficient in performing all minimally invasive laparoscopic surgeries including the state of the art single-site hysterectomy via da Vinci robotic technique. Annual gynecological examinations, family planning, and menopausal related issue consultations are also available, as well as treatment for vaginal issues, urinary tract infections and sexual dysfunction. I liked that Dr. Nguyen was very honest with me, he spoke to me as if I was a friend or family member.